Renowned as one of the finest duelists the galaxy has ever known, Lucius seeks ever greater challenges against which to test himself. 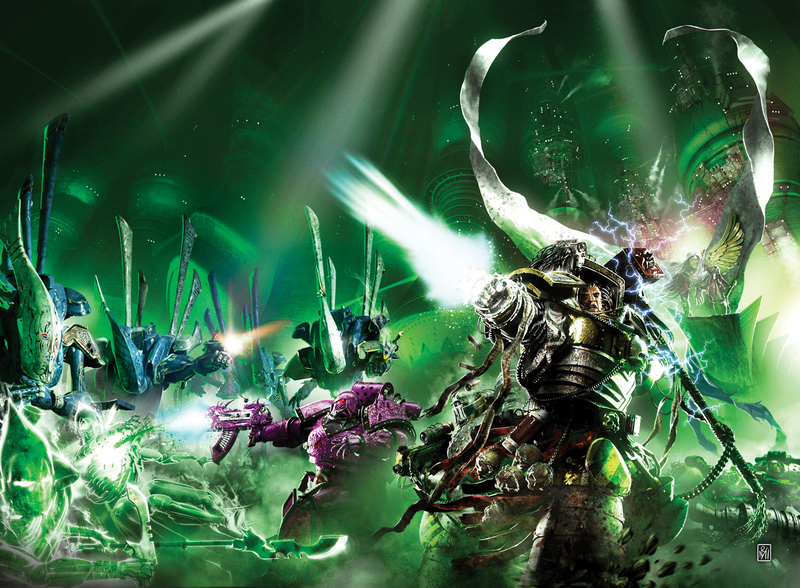 After the Emperor’s Children Legion scattered in the wake of their primarch’s apotheosis on Iydris, he finds his way into the domain of a similarly legendary swordsman – Sanakht of the Thousand Sons. But which of these infamous warriors carries the greater favour amongst their new masters? I love writing about Lucius. I had a great time telling his story in the novel Fulgrim, and when I needed a POV character for The Reflection Crack’d, there was really only one contender. Which surprised me, as I’d expected him to be one of the leaders of the charge into extreme decadence and hedonism. But as it turned out, that wasn’t the case. The very thing that made Lucius the consummate swordsman was the very thing that kept him from sliding down the path of corruption too quickly. Embracing Slaanesh too quickly would, for Lucius, represent a loss of control, and that’s something a swordsman of his skill wouldn’t allow. To be little better than a berserker with a sword would be anathema to Lucius, and bizarrely, that’s what allowed him to cleave most closely to the Legion’s original ideals. He wants to have a foot in both worlds, the one where he has total free rein to be and do whatever he wants, but also the one where there are rigid rules and discipline. That internal conflict is all that’s keeping him focused, but it’s also the thing that will eventually drive him completely insane. This story sees Lucius try to come to terms with the fact that someone else beat him, that, for once, he wasn’t the best blade in the room. Something incredible happened to him at the hands of Nykona Sharrowkyn, but he doesn’t yet know what or how it will affect his destiny. And that irks him. It irks him a lot. And when something irks Lucius, he resorts to what he knows best, his swords. I collaborated with John French on this story. At the time of writing, my next Horus Heresy novel will be a Thousand Sons-centric one, called The Crimson King, and after some great chats with John in the wake of Black Library Live Dublin, we decided it would be a good idea to knock our heads together to see what links we could forge between my upcoming Magnus novel and his ongoing Ahriman trilogy. We came up with some cracking ideas, stuff that will enrich both our writing, and give the fans plenty to salivate over.